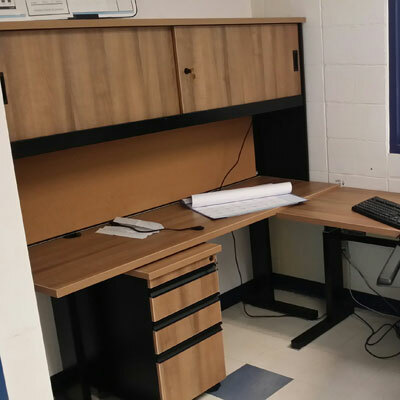 With over 10 years of experience in the office furniture industry, Greenway Furniture Installations is your trusted source for office furniture service and repair. Since September 2010, owner Kevin ‘Tex’ Hannas has become a trusted name, having provided office service for Government agencies, local businesses, and personal home offices. Greenway Furniture Installations provides complete office repairs, furniture and filing cabinet repairs, and handyman services. We service desks, file cabinets, whiteboards, tack boards, chairs, bookcases, and more. If you are in need of an office move, we will consult with you regarding your office needs, and then develop a plan to configure your office for maximum efficiency and aesthetic affability. We also provide office moves, furniture deliveries, and office setups throughout Western Canada and Yellowknife. We are available evenings and weekends in order to not disrupt your office.